This article examines the way advertising was rationalized in the early twentieth-century United States. Drawing on a targeted archival comparison with the United Kingdom, I show how the extensive mobilization undertaken to legitimate and rationalize advertising, rather than changes in the techniques employed in the content of ads themselves, were seen by actors in the mid-1920s to explain most of the extraordinary advances made by American advertising. Building on that comparison, I show how American advertising was transformed, particularly around World War I, into a legitimate profession situated at the center of a network of expertise about consumers and their media. Under the banner of “truth in advertising” ads came to be regarded as a legitimate, rational, and sustained business investment, leading to an enormous increase in aggregate expenditures. I argue that future research should examine how this process fuelled mass media and contributed to the conditions for modern consumerism. 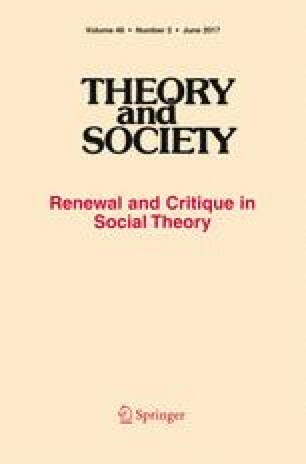 I am very grateful for invaluable feedback from the Theory and Society Editors and reviewers as well as Peter Bearman, Claire Edington, Shamus Khan, Joshua Navon, Harrison White, and especially Gil Eyal. Coolidge, C. (1926). Address Before the American Association of Advertising Agencies. Washington, D.C. October 27, 1926. The American Presidency Project. http://www.presidency.ucsb.edu/ws/index.php?pid=412. Accessed 23 Feb 2011. Goel, V. (2014). Chinese internet companies gain ground in global advertising competition. New York Times, December 15. http://bits.blogs.nytimes.com/2014/12/15/chinese-internet-companies-gain-ground-in-global-advertising-competition/. Accessed 17 Dec 2014.